Can IMX save you money? What is VoIP or SIP Phone? The fastest way to grow your business with the leader in Communications Check out our options and features included. IMX is complete unified enjoyable solution to all your communication needs! Imagine being out of the office but still having the full functionality of your desktop phone available to you via your mobile. Imagine a customer calls, but the required contact is absent... Imagine having multiple ways at your disposal to quickly and easily find someone to assist them, such as mobile, email, instant messaging and more, all in the same place at the same time. IMX is a powerful software-based IP PBX phone system and advanced contact center solution, easier to install and use! Our Customer Care team provides fast, detailed responses to your questions 24 hours a day! Our goal is to respond to each query we receive within 12 to 24 hours. Free Support and Training events. Support for different platforms: Windows, MAC and Linux OS. Powerful but easy to use software. Tailorable to the customers needs. A lot of customers in different countries use our products and services! 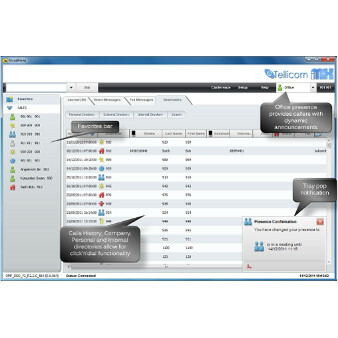 We are very happy with the IMX system that was installed by eTellicom. We have purchased the IMX system to run 100 SIP connections for 100 extensions with the call center with 8 agents. We also have the outlook connector running for 11 users. Since the official install of the IMX UC system, Enable Networks has realized major benefits which have improved its business processes on many levels! Enable Networks has grown by over 65% and continues to use the IMX as one of their key tools to deliver their services to the New Zealand market! The IMX system has worked well and the installation was on time and within the budget, I wouldn't have any hesitation recommending to potential customers looking for a VoIP solution. 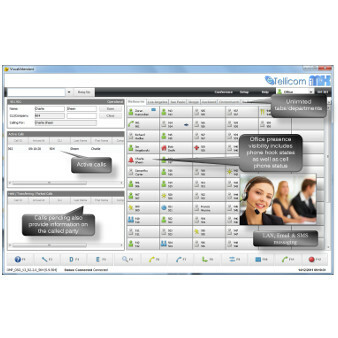 eTellicom have been extremely helpful with ongoing support and updates, and I have found the system to be a very practical, sophisticated and matured software solution, catering for all the requirements of a fully integrated IP Phone system. How ever you make contact with your employees, suppliers, partners and customers, the IMX has a way to help you work smarter, without stress or hassles.